Peachtree Publishing Company, 9781561454631, 1pp. 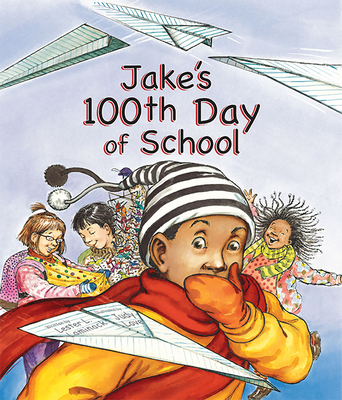 What will Jake do when he forgets to bring the special collection he's going to share for the 100th day of school? Jake and his fellow students are getting ready for a celebration. Tomorrow is the 100th day of school and everyone is going to share their collections of 100 things. The day of the celebration arrives, but Jake forgets the 100 family pictures he has glued into a special memory book at home. Disaster Thanks to Jake's ingenuity and the sensitivity of his principal, Mrs. Wadsworth, Jake does have a collection to display that day... and something special to share with the class on the 101st day of school. Lester Laminack's well-crafted story shows schools in their best light, and Judy Love's charming illustrations of a diverse community brightly capture the excitement of a busy school day.